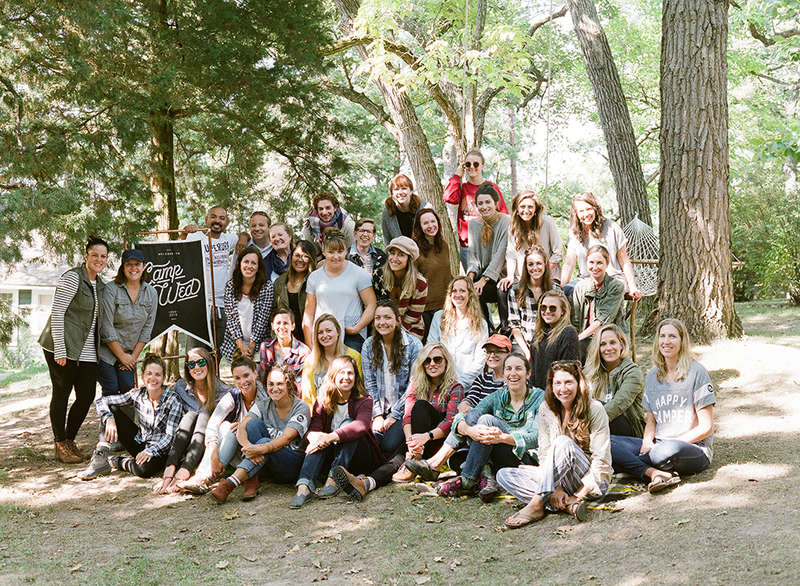 What do you get when you mix 40 wedding industry creatives, the most pristine camping set-up, 150 yards of fabric and two ambitious event planners looking to connect with industry peers in a relaxing setting? 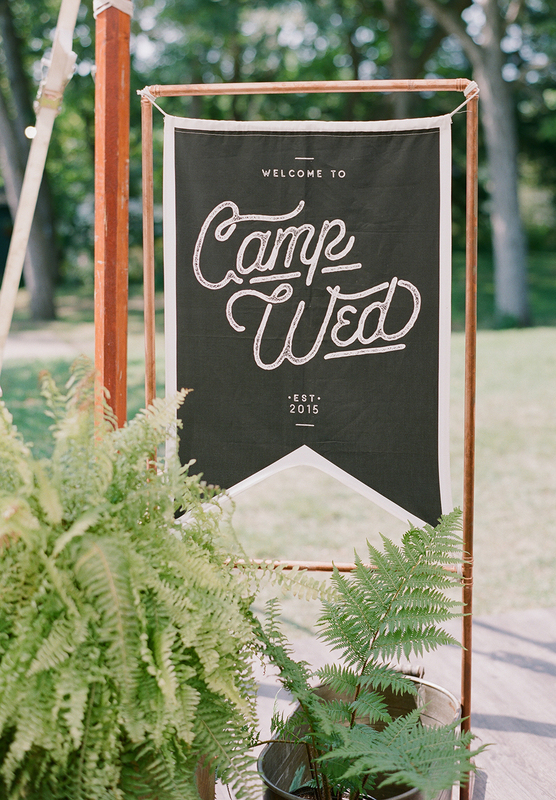 One year ago we might not have been able to provide the answer but thankfully, we now know you’ll get three unbelievably inspiring days at Camp Wed.
Campers were greeted with fabric signage, a custom printed element seen throughout camp. All work and no play? Not at this retreat! As a sewist, crafter, or makers of all the things, you may be able to relate to the feeling of wanting to DIY every idea that comes to mind. Your project list can continue to grow and soon you lose track of which project comes next. For brides and grooms planning their picturesque DIY wedding, the feeling of a never ending to-do list might seem all too familiar. But fear not, bridal buddies! 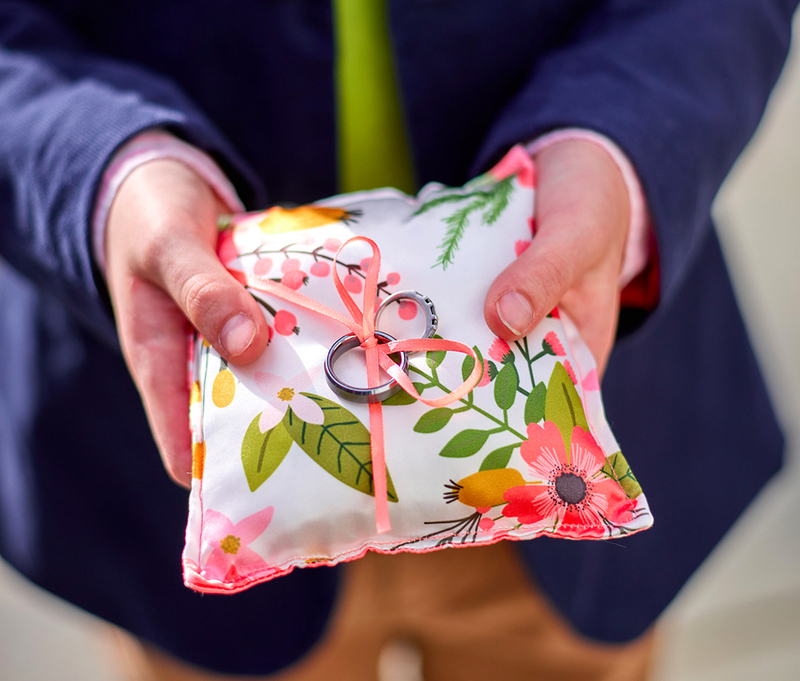 Heather Cook, local event planner extraordinaire, is here to shower you with 8 tips for planning a DIY wedding (and help you stay sane through the process). For our readers in North Carolina, be sure to join Heather on August 13 during her hands-on Wedding Planning 101 Workshop. RSVP online to reserve your spot! In October, we were thrilled to have the opportunity to print materials for The Knot‘s annual Gala for wedding industry professionals at the end of New York Bridal Fashion Week. 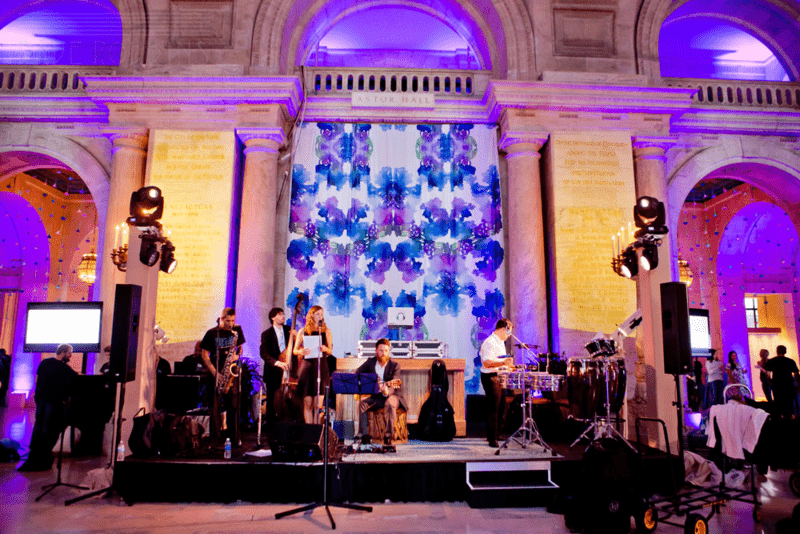 Xochitl Gonzalez and her amazing event design company AaB Creates created the concept that transformed the New York Public Library into a bohemian dream. Calling in the best in the biz to make her dream a reality, Xochitl worked with artist and invitation designer Ceci Johnson of Ceci New York to develop prints to incorporate into curtains, cushions, cakes, and more. We were so excited to catch up with Ceci to learn more about her design process and how she worked with AaB Creates to turn their vision into the sophisticated and flawless decor designs on display at The Knot Gala. 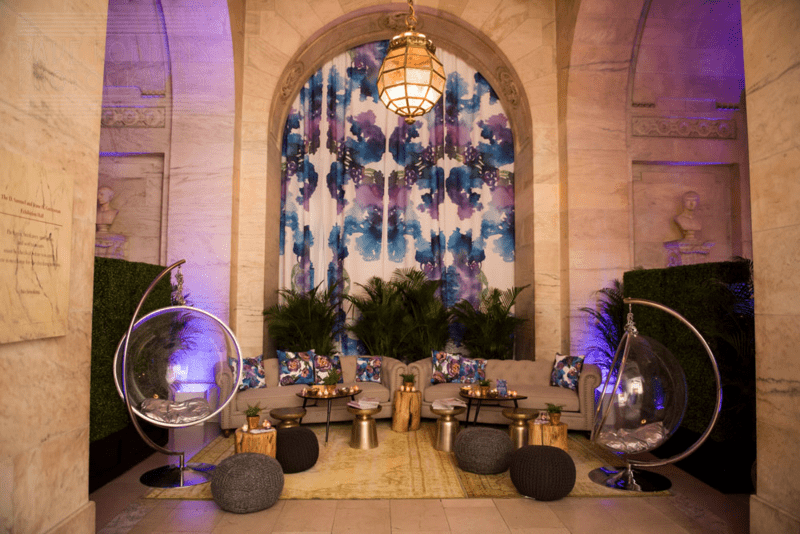 We were thrilled when Xochitl Gonzalez, event designer and co-founder of Aab Creates, contacted us about printing fabric and wallpaper to help transform the New York Public Library into a high-tech bohemian dream. It’s not everyday we get to print 8-yard kaleidoscope floral panel curtains, after all! When we attended The Knot Gala and got to see the curtains in person, the overall effect of the space wowed us even more! In true design-geek fashion, we had to reach out to Ceci Johnson, the Founder + Creative Director of Ceci New York, the designer behind the incredible watercolor prints, to learn more about her process. In between meeting with clients, preparing content for her online magazine Ceci Style, and preparing for a new baby(!! ), Ceci was kind enough to jump on a call and tell us how she makes the magic happen.